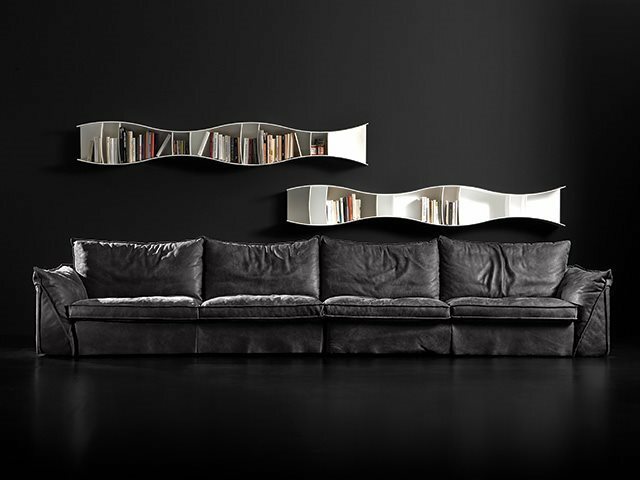 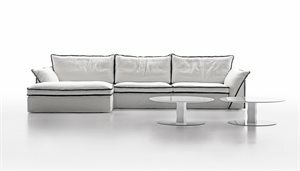 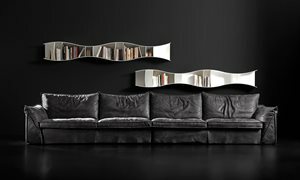 Down-filled modular system with soft curvy lines and an armrest with a distinctive silhouette. 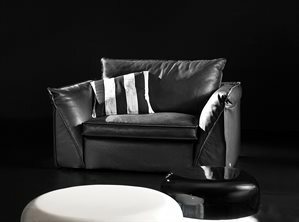 The fabric version features a colour contrasting trim that outlines the shape, while the leather cover has bleed trim. 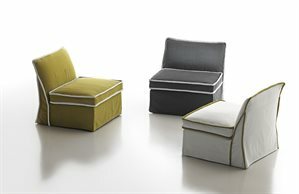 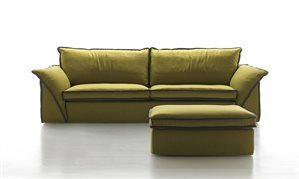 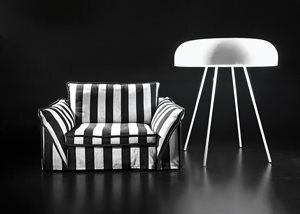 The Pitagora range includes also various types of seating: large armchair, special armchair and chair. 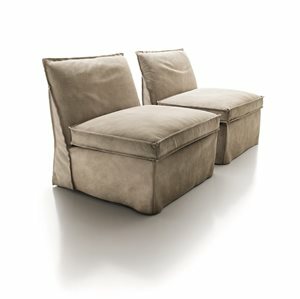 The lines of the armrest are echoed in the bed headrest.